Is so frustrating when you need something to stitch, and the machine does not sew, winds, tearing the thread, tighten the fabric. Nice and even stitching not work, and you have to go into the Studio, and a sewing machine to take to the master. However, most often the problem is incorrectly adjusted the needle thread tension. To make the adjustment easy, it is important to have at hand the user manual for the car, and time for experimentation. How to set a sewing machine "Chaika"
sewing machine, instruction manual, screwdriver, cloth, thread. 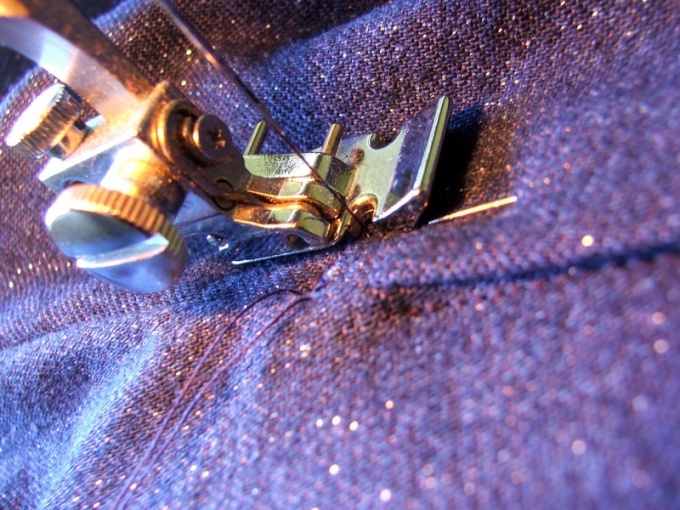 To check the quality of stitching before the sewing make a test stitch on the scrap fabric you need. Perfect stitch is one in which the interweaving of the upper and lower threads is in the middle of the sewn material. Start the tension with a lower thread. This thread is wound on the bobbin inserted into the bobbin case. Regulator - screw on the bobbin case cap holding the spring. If you lift the bobbin case for leaving the thread, it will be safely hanging on it. With a light twitch on the thread, the cap should slide down. Achieve the desired tension of the thread, twisting or loosening a screw. Turn the screwdriver a little bit, because the screw is quite small and can pop out. After performing the above operation, make a test stitch on the fabric. Further customization will be implemented by the regulator tension of the upper thread. Typically this unit is on the front of the machine and special tools for twisting is not required. Look closely at the completed line. If on top of the cloth formed a shaggy air loop, it is necessary to loosen the tension of the upper thread. To do this, turn the knob counterclockwise. If shaggy stitching turned out on the bottom, then turn the Adjuster in the opposite direction – clockwise. Thus you increase the tension of the upper thread. Check the lines after the adjustment. Prostrochite folded shred and compare it with the first option. Remember that adjustment depends on the thickness of yarn and fabric quality. Remember, a perfect line it's difficult to achieve at the "naughty" fabrics: plush, stretchy, very thin and slippery. If the thread breaks, despite all the adjustments, look for a problem in the mechanism of the machine itself. So the thread can pererytitsa yarn guide, needle plate, presser foot or to break in the coil.